Don’t stress over dessert ever again. You know we always keep it simple and this is a summer dessert you can enjoy while staying healthy and chill. 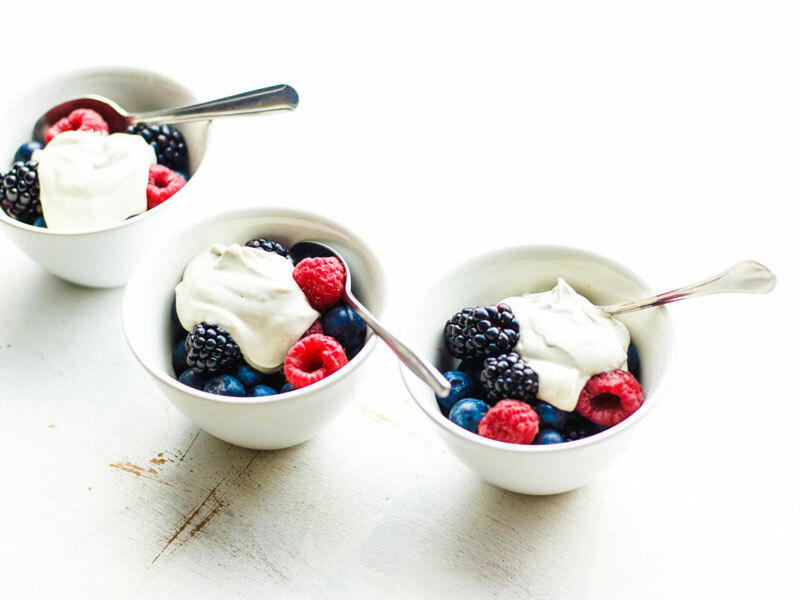 This dairy-free delight is the perfect snack or post-meal sweet treat. Bring the water to near boiling and steep the chamomile tea for 5 minutes. Discard the tea bags and pour the hot tea into a blender with the cashews and salt. Blend until smooth and refrigerate cream until chilled (about an hour). Use Mowellen’s Inner Peace for this recipe!